Install the secondary shoe. 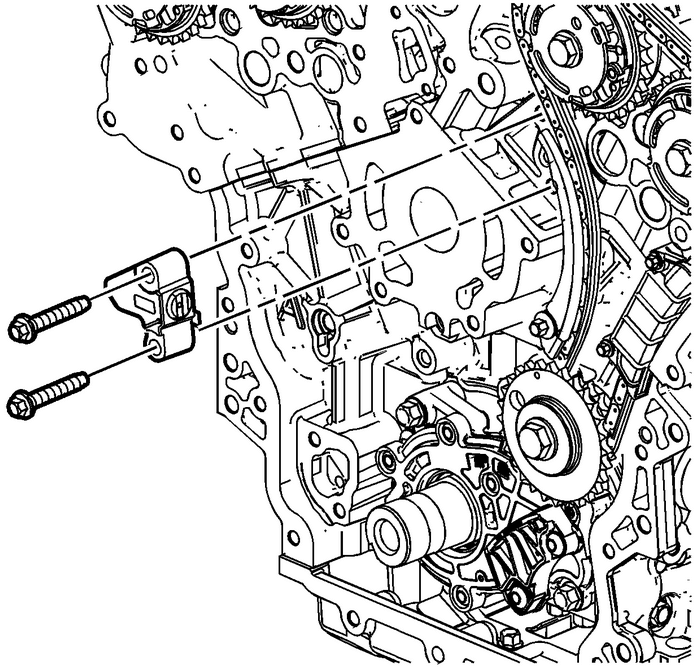 Refer toSecondary Camshaft Drive Chain Shoe Installation - Left Side.Install the left bank secondary camshaft drive chaintensioner. Refer toSecondary Timing Chain Tensioner Installation - Left Side.Install the engine front cover. Refer toEngine Front Cover Replacement.